Sun tanning lotion - how to choose? Sun tanning lotions are less popular these days with the focus being on protecting your skin rather than slathering it with an oil or cream to increase the tanning effect. 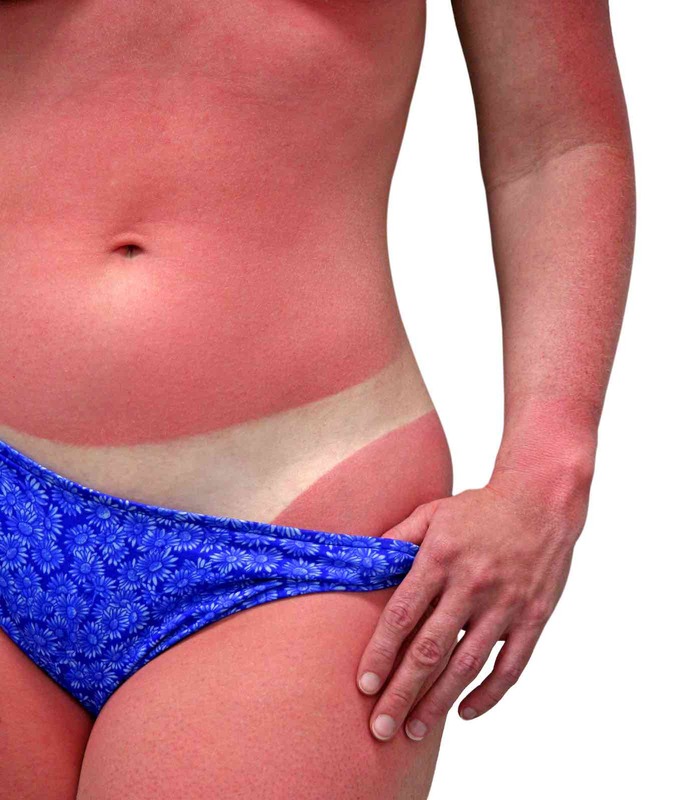 Mostly, a suntan lotion will be sunscreen with an SPF of 4 or 8. These tanning sunscreens will provide very little protection really, so understanding the effect on your skin is important. They certainly do not provide enough sun protection for children. So if you're looking to tan your skin, here are some pointers for you. What specifically do you intend to use the lotion for? In any of the above, pay attention to your Skin Type, knowing what will work with your natural skin color best, as well as any skin allergies you may have and what ingredients are good for your skin's health. Acquiring a tan while outdoors enjoying the sunshine can be such a fabulously rewarding experience. But feeling energized and kissed by the sun, rather than sun burnt will make all the difference to how you feel at the end of the day. If you know your skin's capability to turn brown before burning, then you can identify the best sun tanning lotion to help you get that tan. A sunscreen with an SPF of 8 provides relatively little protection, but if you have a naturally darker skin then it should cope without burning, as long as you take care to reapply often. 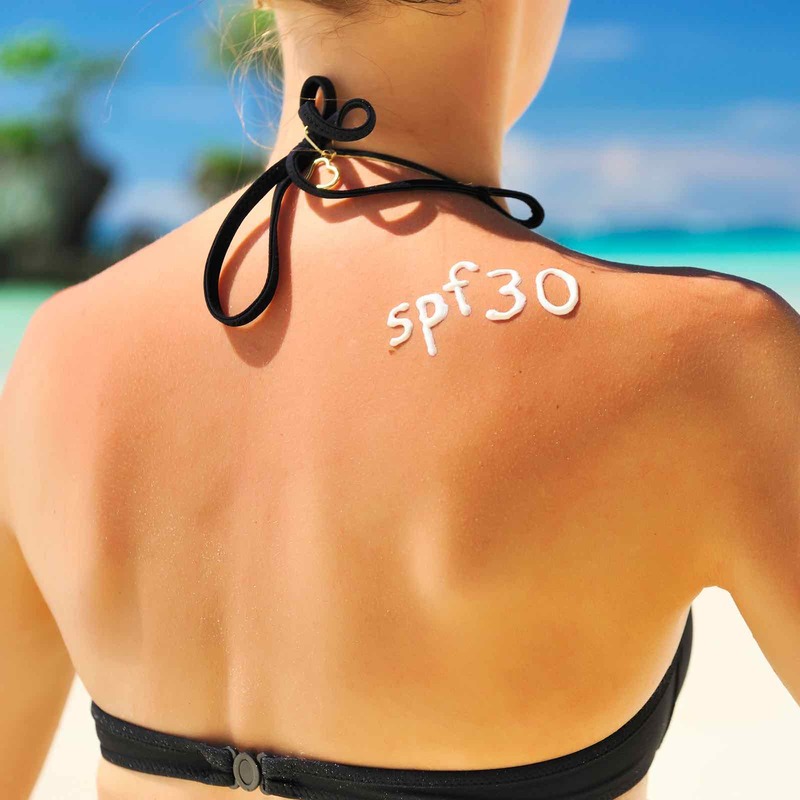 At the other extreme, if you are very fair skinned with the classic blue eyes and you know you don't tan very easily at all, then you need to choose a sun tanning lotion with a minimum of SPF 30, which will provide 97% protection from the UVB rays and you need to make sure to reapply every hour. In all cases, understanding and sometimes accepting, which skin type you are, you can better manage how long you stay outdoors. Responding to how well your skin manages to tan will prevent that sun burn and enable the more desired sun kissed effect. 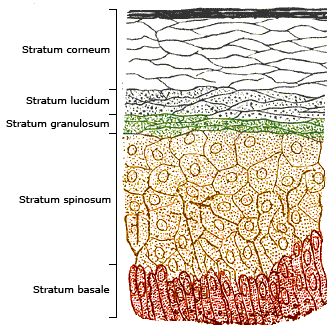 Most of all, you need to be aware of the potential for skin cancer. I have seen too many tourists arrive at a seaside resort and languish in the sun, not apparently having seen it for at least the whole of winter, and by the end of the day were a very sore sight for the eyes to say the least! If they just took it slowly and helped their skin with good sun protection, as well as quality skin nourishment and antioxidants, they may just have achieved a great suntan! Lastly, make sure the sunscreen you choose has very high UVA protection and not just SPF, (or UVB), protection. 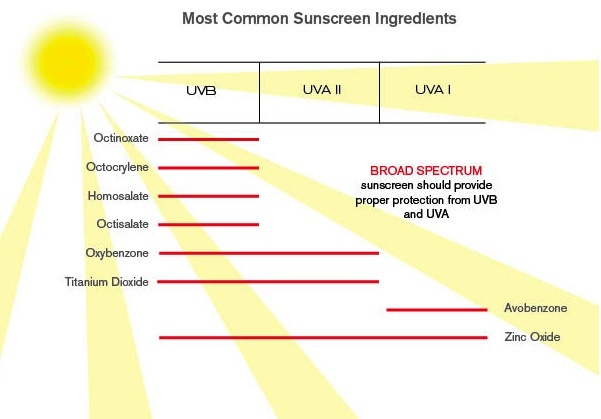 As you can see from the Common sunscreen ingredients chart, if you choose a tanning lotion with sun protection that contains Zinc Oxide and/or Titanium Dioxide you are more likely to have high UVA protection, or the best possible broad spectrum protection. If you want to get a great tan but don't want to put yourself at risk by sunbathing in the direct sun's UV rays, you can choose a sun tanning lotion that doesn't require you to go out under the sun. Known as fake tans, the type of lotion used to create them have special ingredients that react with the topmost layer of your skin only - the stratum corneum - to create a new shade of color. These lotions vary from ones that will create an almost instant tan as it happens so quickly, to slower ones that are gradually applied over a few days. The first requires experience in application so as not to get an uneven tan and orange hands or such! They also seem to work better with naturally darker skins than a very pale skin. ie. not with a skin type 1 or 2. You can also control how deep the shade is more efficiently by applying the right amount over a period of time. Once you stop using the fake tan lotion, the tan will slowly fade back into your natural skin color, usually over a period of about 2 weeks. Finding the exact shade right for your skin may take a little experimentation though. There may be samples available for you to try a small part of your skin a few days beforehand. Otherwise, try and find some good recommendations from people with a very similar skin type to yourself. There is also tanning lotion that is used for indoor purposes, such as with a tanning bed under the lamps UV rays. These sun tanning lotions work by helping to increase the amount of melanin in your skin, which results in a darker tan very naturally. Their ingredients mostly include moisturizing oils and skin health boosters such as Aloe Vera and organic antioxidants to allow the skin to counter the drying effects and potential free radicals created through use of the tanning bed. These free radicals are not to be taken lightly! As with fake tans, these tanning lotions come in different concentrations and some will provide a very deep, dark color quickly, where others will produce a milder version and may require a slower, more gradual path to the deep tan you require.